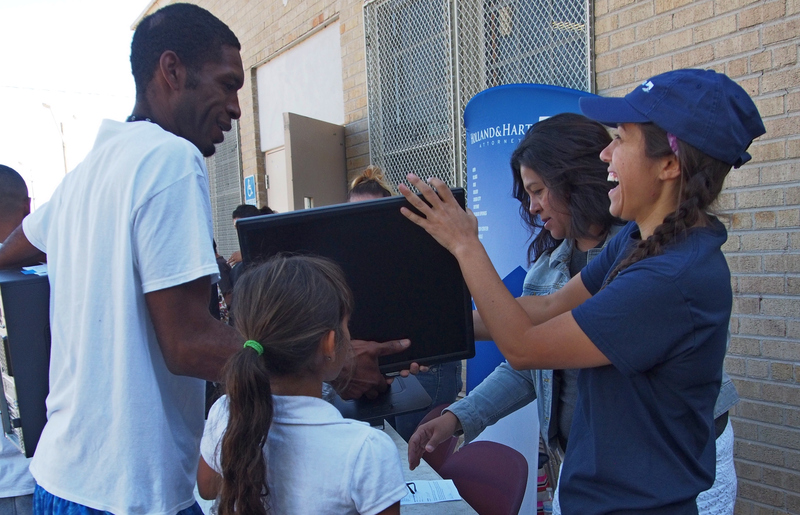 Since 1998, PCs for People has been a driving force behind digital inclusion efforts accross the US. As a 501(c)(3) non-profit organization, our mission is to provide a bridge across the digital divide that offers employment and educational opportunities to low-income individuals, families with children, and those with disabilities. Our services include free end-of-life computer collection, refurbishing, donation-based computer distribution, certified data sanitization, computer repair, internet service, education, and free electronic recycling. Through an unwavering commitment to the communities we serve, we have distributed over 60,000 computers, subscribed thousands of families to low cost internet, and recycled millions of pounds of electronics. As a nonprofit ourselves, PCs for People understands the unique needs of nonprofits and non-governmental organizations (NGO). Nonprofits with recognized charitable status (equivalent to 501(c)(3) status under the US Internal Revenue Code) may purchase from PCs for People Online. PCs for People Online is open to residents of the US. However, certain Microsoft and Internet products are only available to individuals and nonprofits meeting our eligibility requirements. Eligibility is validated at checkout if needed. Powered by Stripe our credit card transactions are handled by an industry leader in security. Credit cards are never stored on our servers and all site content is served with an SSL certificate to keep your browsing private. We value your privacy and the trust that you have placed in us. We will never share, rent, or sell your contact details. Our standard shipping is a 4-7 business day delivery service and is restricted to the United States. Please contact sales@pcsforpeople.org with any questions or changes to your order. Proceeds from PCs for People Online sales support the mission of PCs for People - providing affordable technology and Internet service to low-income individuals, families with children, those with disabilities, and nonprofits. Items must be returned within 30 days of the purchase date for this policy to apply. See complete details here. All defective PCs for People computers must be returned within one year from ship date, unless stated otherwise. Other vendors may have varying warranties. See complete details here. As low as $11.25 per month High-speed, wireless internet service in partnership with Mobile Beacon and run on a nationwide LTE network.